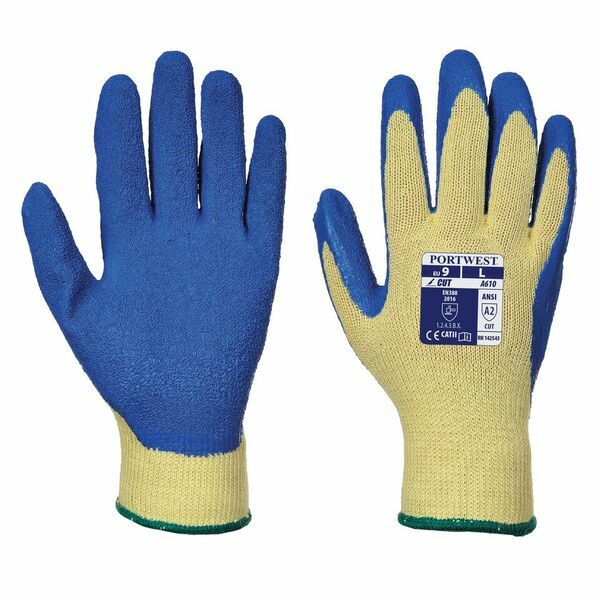 The Portwest Latex Water Repellent Gloves A610 offer exceptional cut protection, while protecting against liquids, greases and oil. They are double dipped in latex to ensure good water-repellent properties, and their super strong para-aramid liner protects well from cuts, abrasion, tears and punctures. The Portwest Water-Repellent Gloves have been double dipped in latex, meaning that they can withstand most liquids, oils and greases. This makes them ideal for use in wet conditions, especially as their strong para-aramid liner offers exceptional mechanical protection. 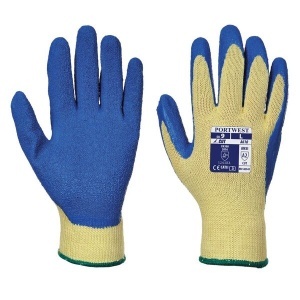 The Portwest Water Repellent Gloves are available in four sizes that should be suitable for most users. To find your perfect pair, please measure the circumference and length of your palm and match the results to the table below.